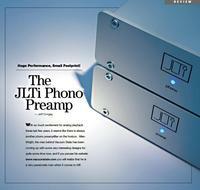 "No other preamp I've heard matches the microdynamic capabilities of the RTP3D. On a scale of 1 to 10, it's an 11. The nearest competitor is the Lyra Connoisseur 4.2SE with a score of 9. And the Lyra Connioseur is head and shoulders above the rest. So the RTP3D in my book has no peers on dynamic and especially microdynamics ..."
"... this preamp reaches new heights of uncoloured and beautiful reproduction of music." "...I know I have to talk a little about bass, midrange, treble, imaging and soundstaging. So here it is short and sweet, the bass is the tightest I have ever heard from a tube preamp, I think from any preamp, The midrange is the most transparent I have ever heard and top end is the most extended, "nuf said". It images precisely and is very tightly focused. The soundstage is wide, very deep, and everything has its own space in the soundstage. I think that about sums it up. It's not about that stuff though. It's about the "beaufiful whole". ..."
"... Looking for shortcomings you'll need to compare the SVP-2 to the very best (and most expensive units) out there..."
The SVP full (MC & MM phono line) Tube Preamp is based on the unbalanced FVP5A circuit (with improvements). Available as a kit directly from Vacuum State, or completely built & warranted from us or our agents.
" This tiny Swiss phono stage ... should be considered mandatory to get truly impressive sound and value. We felt that the JLTi was the most neutral phono stage we have heard at this price point and were constantly amazed that such a big, authoritative sound could come from such a small package." 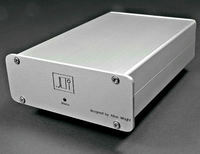 The JLTi Phono Stage - MC & MM solid state with great sound and amazing. specs. "The JLTi... really did not sound like a solid stage phono stage, it had more of a very well designed tube phono stage sound. After a few days of listening to the JLTi a reality check was in order. Was the modestly priced JLTi really that good? Did it really offer that much bang for the buck?" "... The very first notes are enough to convince you that this is no ordinary amplifier ... an almost spookily realistic presentation ... no sense of anything between you and the performers ... the most natural and easily audible reproduction of jazz bass I've ever heard ..."
These are just a few of Roy Gregory's enthusiastic statements on our DPA-300B mono-bloc power amps in his detailed equipment review in HiFi Plus, Issue 66. Download his complete review (PDF 700k) here. "... the grand prize for the best piece of equipment to come into my possession this year ..."
"Second year in a row - Product of the Year"
"Best sound at the show." Allen demonstrated the award winning Vacuum State DPA-300B power amps with the MaxxHorn speakers and elicited the above comment in Positive Feedback's show report. "As I have come to expect from Allen Wright, he has created an excellent product at a relatively affordable price." "I can safely say that I have a good sense of the difference cables make in general and what one can expect going from a modest cable to a mid level cable to a top flight cable ... The magnitude of difference the VSE cables made in my system was on the order of what one should expect from the best cables available." 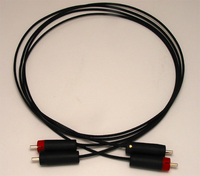 "... with the VSE speaker cables in my system, I heard even more subtlety in the decay than I had with the Muons. The decay lasted longer, I could hear the pitch drop as the drumhead slowed down and everything was just more present and alive...."
"... With the VSE interconnects I was now getting the best of both worlds. Their transparency and ability to resolve low level detail made instruments both more tightly focussed and provided a greater sense of air and the original recording space. Each instrument was both more distinct from the space and more realistically in the space. At the same time, the unique size and character of the space itself was more clearly reproduced and at times the speaker end of my room seemed to disappear, replaced by the original recorded space. ..."
"... As a result they are both more detailed and more musically expressive, not just letting you hear the background details on the TvZ track more clearly and easily, but making more sense of them too; you hear the dog bark more clearly, but it's also less intrusive. Likewise, the snatches of whispered conversation are fully revealed for the first time in this group, as is the point at which our would be backing singer first starts her low, hummed harmony, something that escaped the notice completely with all the other cables here. ..."
We have recently taken part in a 24 interconnect shootout - and won!